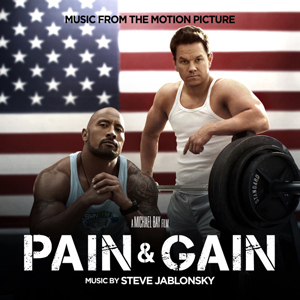 Based on a true story, Pain & Gain follows a group of bodybuilders who engaged in a campaign of kidnapping, extortion and murder in Florida. First told in an article from the Miami New Times, Pain & Gain is directed by Michael Bay and stars Mark Wahlberg and Dwayne "The Rock" Johnson. Action veteran Steve Jablonsky, who provided the sonic adrenaline for the Transformers trilogy, reunites with Michael Bay for another full-throttle adventure.